Liverpool's first game in the Champions League since 2014 ended in a 2-2 draw against Sevilla at Anfield while Manchester City completely dominated the Dutch side Feyenoord thrashing them 4-0. 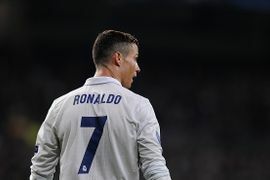 Thanks to a brace by Cristiano Ronaldo, defending champions Real Madrid beat APOEL Nicosia 3-0. Liverpool secured their second successive draw in the Champions League as the Reds failed to crack the Spartak Moscow code in the second half and satisfied with a 1-1 draw. On the other hand, Cristiano Ronaldo scored two goals to guide Real Madrid to a 3-1 victory over Borussia Dortmund.